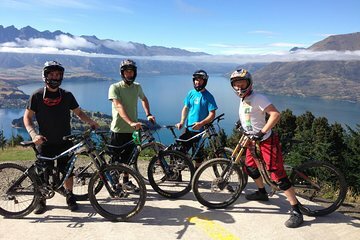 Get your adrenaline soaring as you tackle the thrilling descents and crazy jumps of the Queenstown Bike Park (entrance not included). Your 5-hour rental includes the use of a full-suspension downhill bike and safety helmet, which you can use on the park’s 30km+ trail network. Best of all, the huge variety of trails suit all abilities, so you can test your skills on the easy green trails; attempt the exhilarating jump run or push it to the extreme on the black diamond grade 6 trails.